Based in Cornwall, Kelsall Steele Investment Services is a specialist, award winning wealth management firm with the strength and support of one of the most well respected accountancy practices in the region. Our business was established more than fifteen years ago to deliver comprehensive financial planning and investment services to complement the offering of Kelsall Steele - Chartered Accountants. Today, we are responsible for the oversight and management of more than ÃÂ£75 million in client assets. 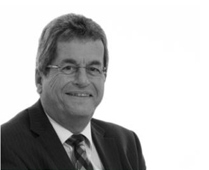 Lucien is the Managing Director of Kelsall Steele Investment Services. In his role as business leader, he is the innovator of our services for individuals and businesses. Our focus on helping clients to achieve their goals is driven by Lucien's dedication to outstanding service, with relationships at the heart of this approach. 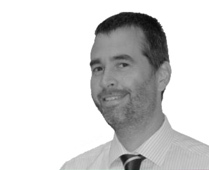 An experienced Financial Planner, Chris joined our team after running his own IFA practice. He specialises in working with wealthy individuals and companies. On the weekends you will find Chris spending time with his family and friends or watching the rugby. Passionate about cooking; curries are his specialty. Mark has a wealth of experience in the financial industry and has joined our team from one of the UK's largest independent advice firms. He utilises his expertise to provide holistic financial planning to individual and corporate clients alike. At the weekend he enjoys spending time with his family and friends. He is also extremely passionate about music and cricket. Karen is tasked with ensuring our office runs efficiently by maintaining office systems and supervising staff. 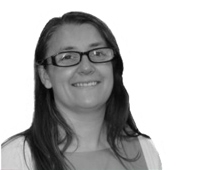 She also ensures our business remains compliant and adheres to all aspects of FCA guidance. At the weekends Karen enjoys spending quality time with her family. 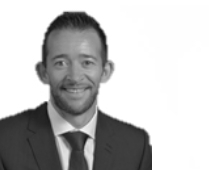 Andrew is our Paraplanner and draws on a wealth of experience gained from working at a private bank. His role involves research and creating reports. When asked about his favourite holiday, Andrew mentioned a trip to Norway and the Artic Circle in search of the spectacular Aurora Borealis. 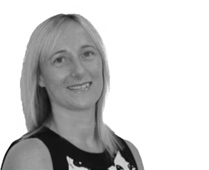 Nicola is PA to our Managing Director, acting as the first point of contact for clients. She is also responsible for fees reconciliation and reporting. If she found herself on a deserted island, she would take wine, a book and sun cream. In her spare time she enjoys spending quality time with her family. 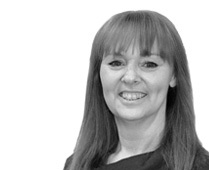 Part of the Paraplanning team, Carri brings a wealth of experience and knowledge of the financial services industry, which makes her a great asset to our team. Carri helps prepare client suitability reports as well as administering corporate pensions. When asked what superpower she would most like to have, she replied the ability to heal people and animals. Carri is best know for her honesty and self-reliance. Part of the paraplanning team, Abby prepares our client reports for annual review meetings. At weekends Abby enjoys spending time with her friends. 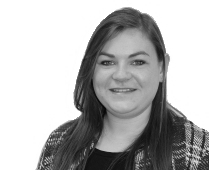 Abby is also responsible for marketing, which includes the use of social media, keeping our blogs up to date on our website and ensuring all clients receive our quarterly newsletter. Jade is our senior financial services administrator, having been with us for over 10 years she brings a wealth of experience and knowledge to our administration team. The superpower Jade would most like to have is invisibility, so she can hide away when need be. In her spare time she enjoys spoiling her daughter. I also have a firm grasp of my pensions and their value, which is a huge relief for me. It is refreshing to deal with a professional company that are not focussed purely on making a sale - they worked to find the best solution for me and allowed me to take my time to make decisions. They give us confidence that we are receiving solid professional advice at all times, whatever our circumstances may be. Their collaborative approach, which involved referring us to Kelsall Steele Chartered Accountants, their sister company, ensured all aspects were considered and took away any hassle or confusion. Our adviser displayed in-depth knowledge and provided a stellar service. We had the confidence they could provide us with everything we needed. From the start they provided invaluable technical guidance and support, helping us to facilitate a pension and employee benefit scheme for our company, with ongoing support and in-depth reviews on a regular basis.